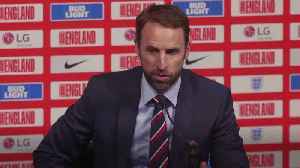 England manager Gareth Southgate had announced a 25-man squad last week but three players -- Manchester City's John Stones and Fabian Delph and Chelsea's Ruben Loftus-Cheek --withdrew through injury. 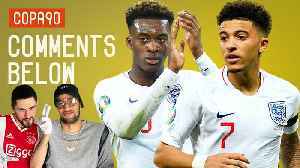 Former England captain Wayne Rooney hopes Callum Hudson-Odoi will get a chance to play for England after being called up for their Euro 2020 qualifiers against the Czech Republic and Montenegro. 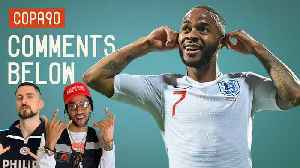 Raheem Sterling silenced his critics and spoke out against the racist abuse that marred England's international break. 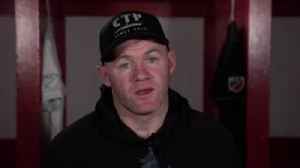 Poet and Vuj discussed this, the rest of the international break, the upcoming.. 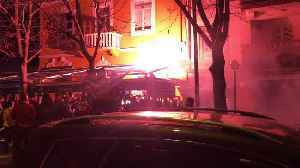 Fans hold flares and sing songs as the atmosphere builds in Podgorica ahead of England's Euro 2020 qualifier against Montenegro. A match preview for England's forthcoming Euro 2020 qualifier against Montenegro on March 25. 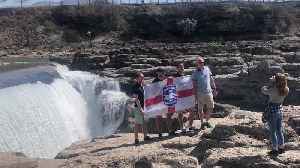 England fans Lewis, Dean and Ciaran Moynan, and Mark O'Meara pose with an England flag at the 'Niagra' waterfalls in Podgorica, ahead of the national team's Euro 2020 qualifier against Montenegro.